Spies have captured the first shots of the 2013 Nissan Pathfinder undergoing testing in Michigan. 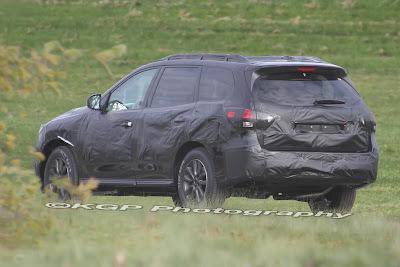 Unlike the current rugged, body-on-frame model, the fourth-generation Pathfinder will sit on a unibody, front-wheel-drive chassis (shared with the new Infiniti JX35) and will essentially become a larger Murano, albeit with seven-seats. Expect easier entry to the third-row and fully-independent suspension. Originally, the Pathfinder was launched on a ladder chassis before switching to a unibody in 1996. 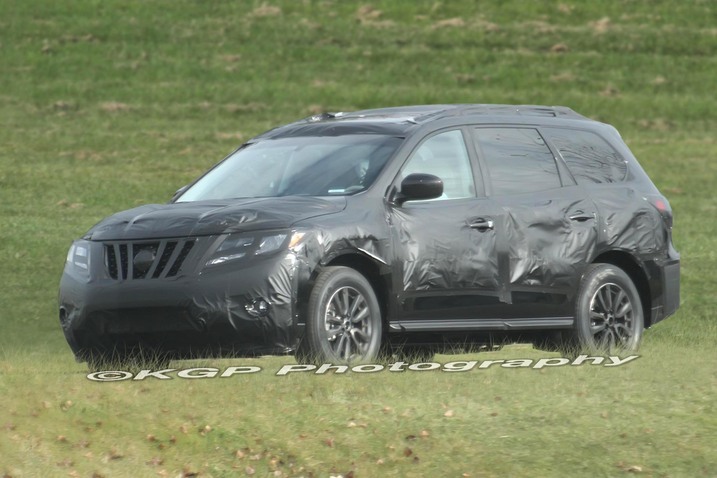 The third-generation saw the Pathfinder go back on a body-on-frame platform to help spread the cost of the F-Alpha architecture that was shared by the Pathfinder, Navara/Frontier, Titan, Xterra, and the Armada. 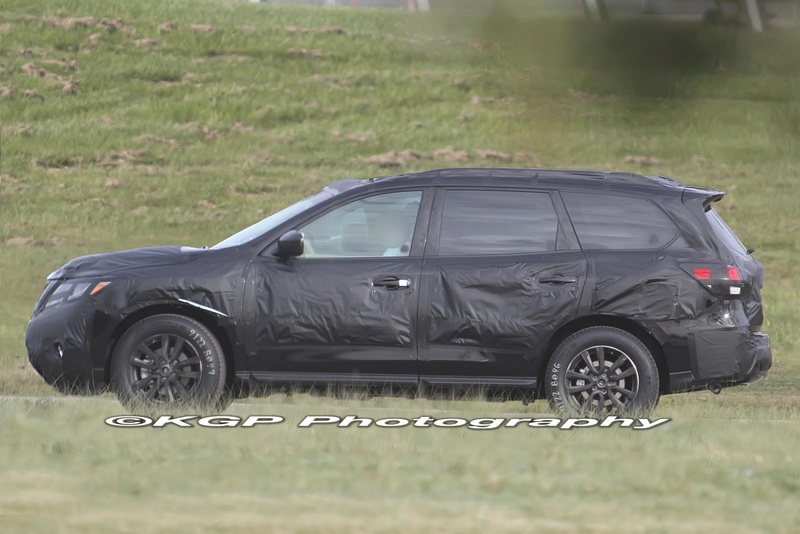 Power is expected to come from a 3.5 litre V6 petrol, that will be mated to an Xtronic CVT, and a 2.5 litre dCi diesel, paired to a 6-speed automatic transmission. The new Pathfinder will be fitted with adaptive bi-xenon headlights, keyless entry and start, 360° degree camera system, 5x2 spoke alloy wheels, heated front and rear seats, heated steering wheel, ambient lighting, and electrically adjustable seats with memory. A concept will be showcased at the North American International Auto Show in Spring 2012, before the production model bows at the New York International Auto Show in April 2012. Sales in the U.S kick-off in Summer 2012, with European and Australian sales commencing during third and fourth-quarter of 2012.